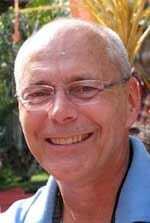 Don Proffit, an ethical literacy coach with the Institute for Global Ethics and President of Proffit Projects, LLC. A conscientious objector during the Vietnam War, Don Proffit was assigned to alternative service in Alaska. That experience included an extended stay in the remote Inuit village of Point Hope, 150 miles above the Arctic Circle. In this isolated setting, his worldview began to take shape as he experienced the isolation of the outsider and witnessed the powerful role the arts and ethics can play in defining inclusive communities. The teachings from these early experiences provided insights that he brought to the New Jersey school system in order to create a caring, inclusive, safe school community for a student body from diverse backgrounds. Listen to this episode of Leading Conversations with Cheryl Esposito to learn more!